Tiempo al Aire is a journey from one world to another, from the most traditional city of Madrid to the most cosmopolitan city of New York, from well-known surroundings to the excitement and illusion of new places. It is a journey of self-exploration and personal growth. Tiempo al Aire is a production devoted to the life-changing moments experienced by Sonia Olla and her company on their long journey of professional and personal growth. During these defining moments the artists experienced a plethora of emotions that are powerfully conveyed on stage through music and dance. 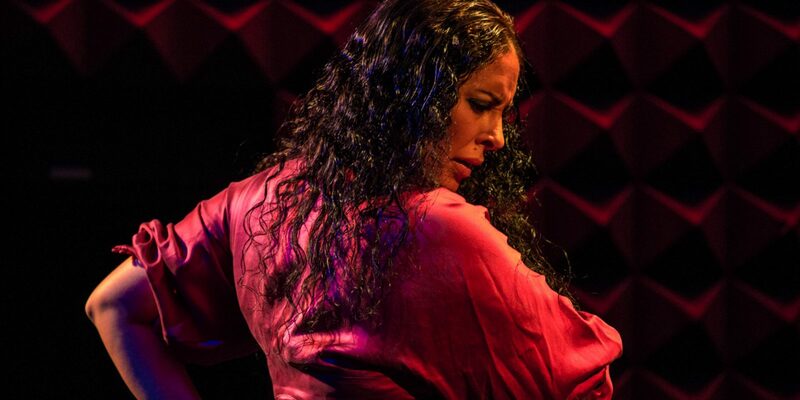 Sonia Olla and Ismael Fernandez fill the stage with the magic and spirit from traditional flamenco infused with percussion and jazz. This union enhances the exquisite performance of these acclaimed international artists.